In times of adversity, funding cuts and tightly squeezed budgets, commerciality and sustainability are becoming words that many arts organisations are having to embrace within their organisation’s strategy. For many, this is a hard path to tread as many curators and operation managers can feel that commercialisation of their organisation’s collection can undermine the fundamental reasons for which they preserve and present their collection. These beliefs can dramatically inhibit the progress of such organisation’s retail operations and perhaps it is how the products can enhance the visitors experience and prolong their enjoyment following a visit as the need to engage and excite customers emotionally is a critical part of the buying process. Taking all of these issues into account, in an article for Arts Professional, Corin Birchall shares his advice on what museums and galleries can learn from high street retail strategies to improve their commercial offer. To read the full article originally published on Arts Professional, Click Here. Over the past three years, the seven museums run by Amgueddfa Cymru, National Museum Wales has seen a 26% increase in overseas tourists visiting their venues, accounting for one in four of all visitors. In an article for The Guardian, June François, Head of Marketing for National Museum Wales divulged how she feels her and her team have managed to successfully driven up their numbers of foreign visitors. Brand saliency defines your brand strength and can be improved through marketing activity to raise awareness. Done well, it develops a sense of familiarity even among irregular users. Tourists are a priority audience in our marketing strategy … Marketing is about understanding the needs of your customers. Tourists have a curiosity about the place they are visiting and a desire to understand its history and culture. The museums in Wales tell those stories so well through their collections. Tourism is a heterogeneous market that encompasses independent visitors through to organised groups. You need to consider different marketing channels to ensure the best reach of each tourism segment. Don’t be lulled into a false sense of security by assuming the [tourism] sector has complete product knowledge of your visitor offer. They need reminding in the same way that the public does. Concentrate on the must-sees in your collection that tell a distinct story and give an interesting insight into the region. To read the full article originally published in The Guardian, Click Here. Back in February, the Guardian Cultural Professionals Network released an interesting article which brought together comments from four arts and culture professionals who are either directly or indirectly involved in fundraising for their organisation. An interesting read, the article communicates how important it is for an organisations whole team to be involved in their fundraising strategy. Launched back in September 2015 as a pilot scheme in response to the challenges faced by UK museums in building their collections of moving-image works. The first scheme of its kind in the UK, it aims to ensure that the most significant works of contemporary film and video art can be bought for public collections. Just over six months after its launch, the scheme has been hailed a great success with several regional museums benefitting from financial support to expand their film collections. The Towner Art Gallery in Eastbourne and the Whitworth Art Gallery in Manchester have jointly acquired Isaac Julien’s Ten Thousand Waves – a film made in tribute to the Chinese cockle-pickers who died at Morecambe Bay. The Moving Image Fund’s pilot initiative has given £180,000 each to the Whitworth and Towner Art Gallery to collect film and video. Both institutions are in the process of making further acquisitions. The Towner Art Gallery and the Imperial War Museum also jointly purchased Omer Fast’s film 5,000 Feet is the Best with money from the Art Fund’s New Collecting Award Scheme. 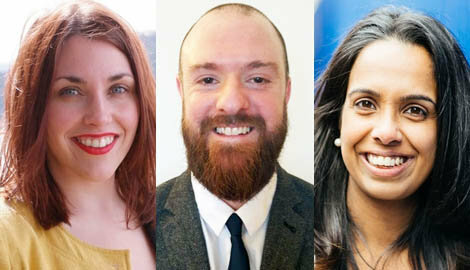 The Museums Association’s members have elected three new members to the Museums Association’s board to begin in April. They are Dhikshana Pering, the manager of young people’s programmes at the London Transport Museum; Heledd Fychan, the corporate affairs and advocacy manager for Amgueddfa Cymru – National Museum Wales; and Alex Bird, the sector development officer for Museum Development North West. “I started my career in the museum and gallery sector in 2006 and have been lucky to work and build skills such as delivering, developing, managing and leading learning teams to success,” says Pering. “From the start I was supported by my family to be able to take on unpaid volunteer and intern opportunities in the UK and abroad, and without this experience I would have not been able to realise the potential of the career I have carved. “Diversity is something I have been aware of since I started working and for me is the crucial point I want to focus on in my career and as a board member for the MA. “Institutions are delivering programmes that look to diversify audience make up and collection interpretation. But this is only one step, and as a collective we need to change how and why we recruit. “Schemes that look for diversity have proved not to have the impact desired and as the last MA conference showed we all want the change. Fychan says: “At a time when museums are being pitted against health, education and social services it is crucial that we are able to articulate that museums play a crucial role in society. Bird says: “I’m delighted to be joining the MA’s board and am looking forward to working with colleagues from across the country to support the Association throughout the next few years. “My aim is to bring intelligence about the needs of the sector from front line staff through to trustees with a particular focus on training and development. The new board members will replace Richard Sandell and Gaby Porter who are leaving in April. David Liddiment, the creative director of the independent production company All3Media has been nominated as an appointed trustee, and will also join the board in April. Liddiment is also an associate of The Old Vic Theatre Company and a member of the BBC Trust. NWFed Members, Manx National Heritage, have been busy working with the team at Isle of Man Advertising & PR towards the design and production of a new series of guidebooks. The new series, funded by the Manx Museum and National Trust, are being researched by Manx National Heritage staff to help promote the island’s heritage and unlock the history behind its numerous heritage sites. A 40-page book featuring a number of previously unpublished images and new illustrations by local artist Julia Ashby Smyth as well as images from the Manx National Heritage museum archives, the book is a detailed study not only of the medieval Castle itself, but also tells the story of the historic site of St Patrick’s Isle. Also including details of several excavations which took place during the 20th century, the publication ‘lifts the lid’ on the Island’s history. The further four books in the series will include a detailed guide to the collections of the Manx Museum, including some of its leading exhibits, as well as the four Castletown sites (Castle Rushen, Old Grammar School, Old House of Keys and the Nautical Museum, the island’s Southern sites (including Cregneash and Rushen Abbey) and the Grove Museum, Ramsey. 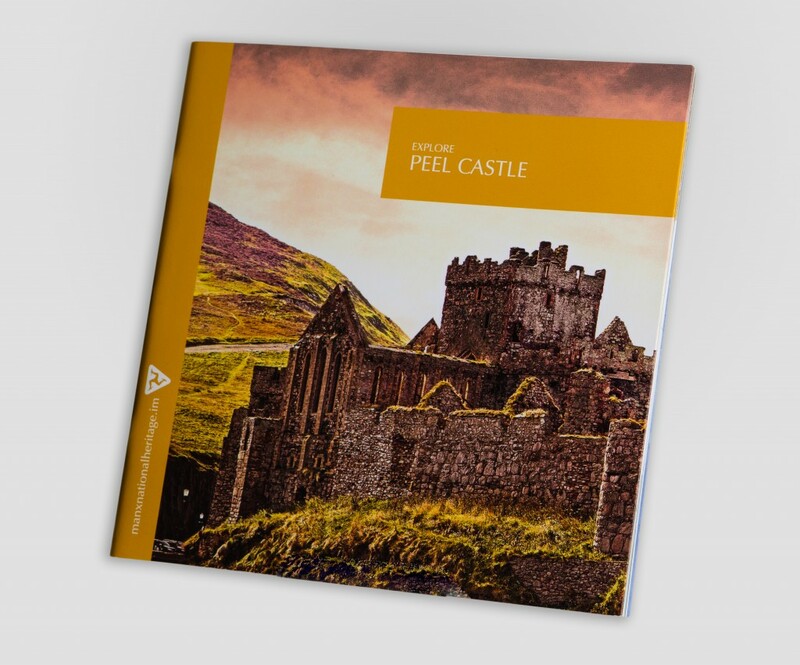 Explore Peel Castle, priced at £5.95, can be ordered online at www.manxnationalheritage.im and is available from all MNH retail sites, including the House of Manannan and Manx Museum.